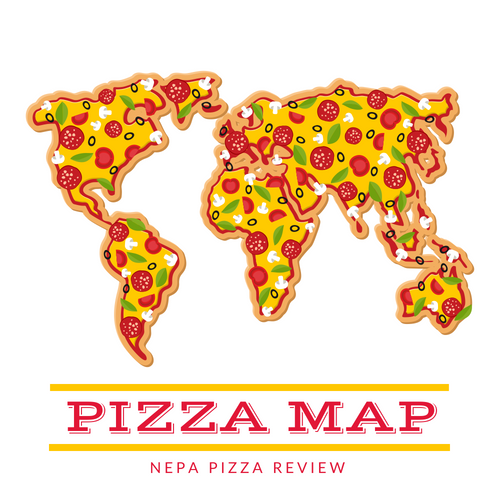 It's no secret that the NEPA pizza review does most of its work in Lackawanna and Luzerne counties partly because of locational convenience for me, but mostly because that's where the highest concentration of good pizzerias are. Rest assured, my goal is to cover ALL of the 570, and I haven't forgotten my northern neighbors in Susquehanna County. 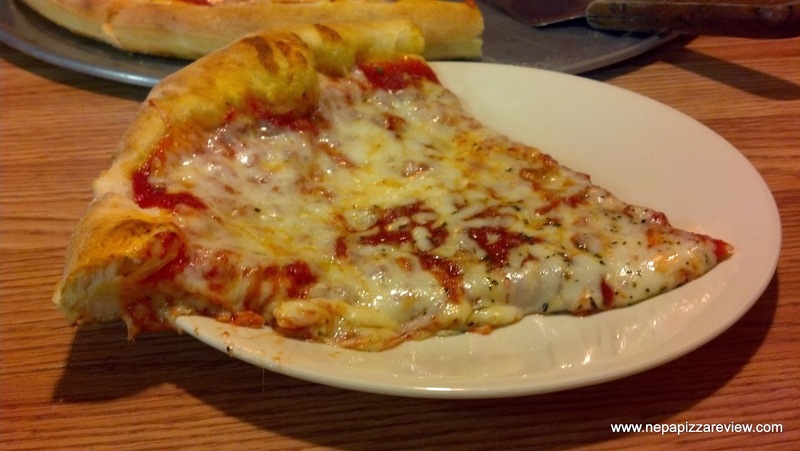 Anybody from that county knows that pizza places are few and far between, so finding a good one is a challenge. 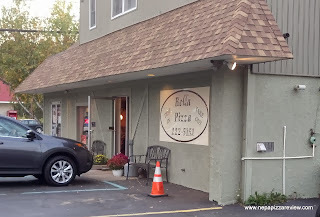 I was going to be in the area, so I took to my reader suggestion list and found that 3 different people recommended Bella Pizza in Clifford, so I thought that would be a good place to start! Bella is located conveniently on the main street in Clifford so it was very easy to find. It's a small restaurant with 5 or 6 tables, but it is comfortable and very casual. I called ahead for my pizza and was told it would be ready in 15 minutes. 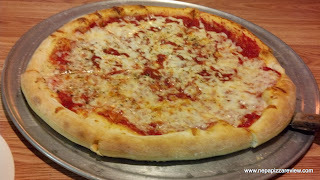 I arrived in 10, and the pizza was ready within 5 minutes of my arrival, so the service was good. While I waited, I checked out the pizza maker hand tossing the dough in the back, which never gets old for me even though I've tossed thousands of pizzas myself! It's sort of like watching someone's golf swing, I like to watch the person's form and see if I can learn something or find a flaw that can be improved upon. Anyway, this guy's form didn't need any work as he was doing a nice job, so I stayed quiet, plus I'd have to be a special kind of jerk to be a total stranger walking up to someone and telling them how to toss a pizza! 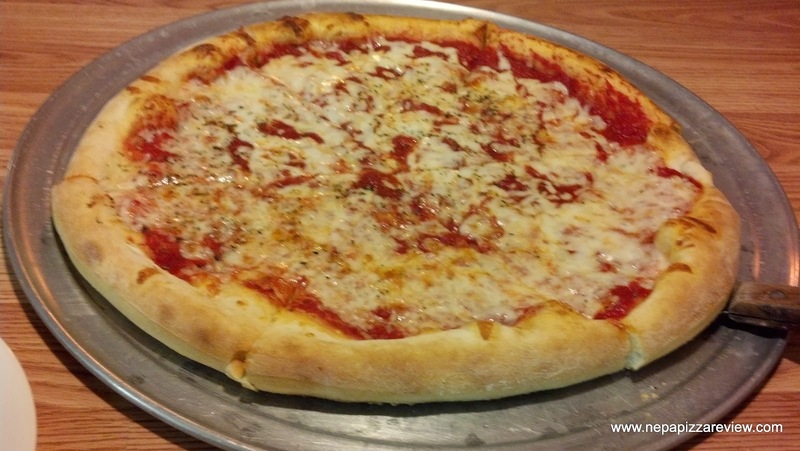 The pizza came out of the oven fresh and hot. 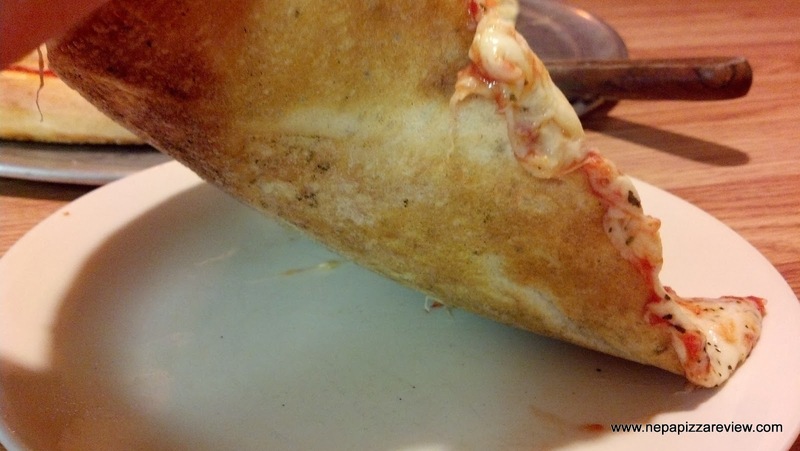 When the waitress brought the pizza to my table, the first thing I noticed was the very thick and fluffy crust. The crust was like a big circular breadstick surrounding the pie. 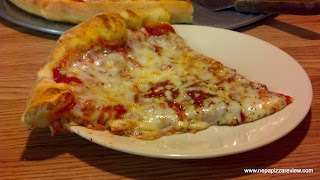 There was a drastic contrast between the lightly cooked crust, the dark red sauce, and the white-looking cheese. My first bite was taken over by the flavor of the sauce which was a little bitter and tasted a bit like the can it came in. The texture, consistency, and seasoning of the tomatoes was pretty good, however. The crust was soft and chewy and a bit doughy especially on the outer handle. It was decent, and actually the strong flavor of the sauce sort of balanced the other two neutral flavors out. The cheese didn't add much flavor but it did hold the pizza together. I thought with another two minutes in the oven, this pizza would have been fully cooked and the ingredients would have had a little more time to get to know each other and work together. 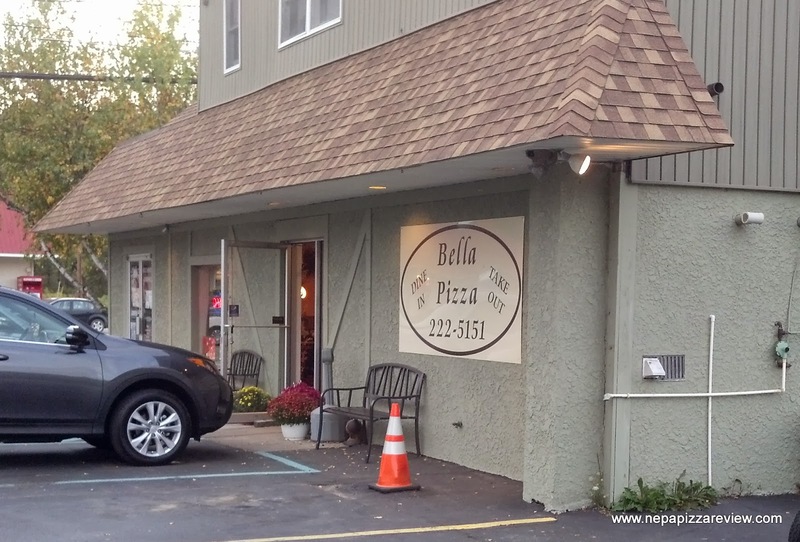 Although I was not wowed by this pizza compared to the other pizzas I've had in NEPA, Bella does serve an underserved pizza area of NEPA, and this pizza is probably among the better choices in the area. I will say that you do get a great value for everything that you buy here. For example, my girlfriend ordered a chicken salad for under $6, and she received a gigantic salad that was about the size of 3 normal salads. In addition, the people are very friendly, the place is comfortable, and the citizens in the area who I talked to recommended Bella as the best. So in my opinion, give this place a try if you live in the area or are passing through and need a quick meal.